Hi dudes, I’m Amy Leverton and I’m going to be tackling some subjects every month that examine the denim industry as a whole. 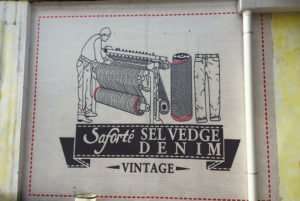 I’ll be looking at the interplay between premium selvedge and other market segments of the industry, the current consumer and their shifting needs and habits, the state of the industry as a whole, all that scary stuff! My first piece is about the market that all you readers are primarily concerned with: the premium, often raw(r) denim scene, how its evolved over the last five to ten years and how that’s affected the rest of the industry around it. 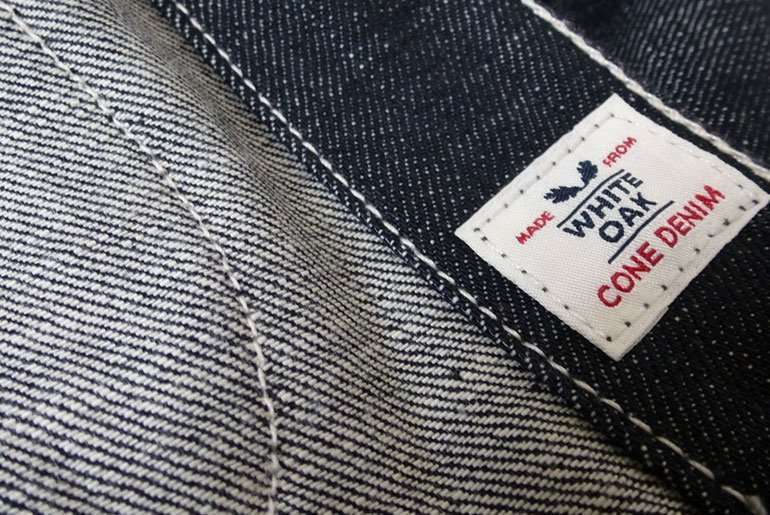 This includes Cone Mills White Oak denim, made in America jeans (or Japan or England, insert home country here) ethical manufacturing, one man brands, ‘built to last’ attitudes, and many other phrases that we’re used to reading on press releases and denim blogs these days. My first experience working with Cone was before things really kicked off for White Oak. It was 2004 and I was working for Oki-ni in London. We collaborated with The Duffer Of St. George and created a custom White Oak selvedge jean, meaning a visit to the plant in Greensboro, North Carolina. That famed plant was pretty quiet back then, and to be honest, Cone felt like it was really struggling. Since then things have really kicked off for them, which I’m so pleased about. But it does seem like every dude and their dog is launching a premium denim line using Cone/ Kurabo/ Nihon Menpu/ Candiani selvedge. 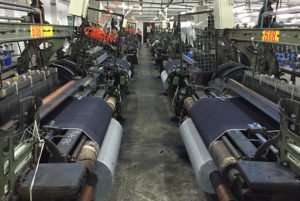 This is great news for mills who weave good quality denims using traditional manufacturing and an ethical use human resources. But is there enough room and demand for all these brands? Well, that’s actually another article. Today I’m going to talk about who’s buying these brands now, why they are buying, and what it’s doing to the denim industry as a whole. 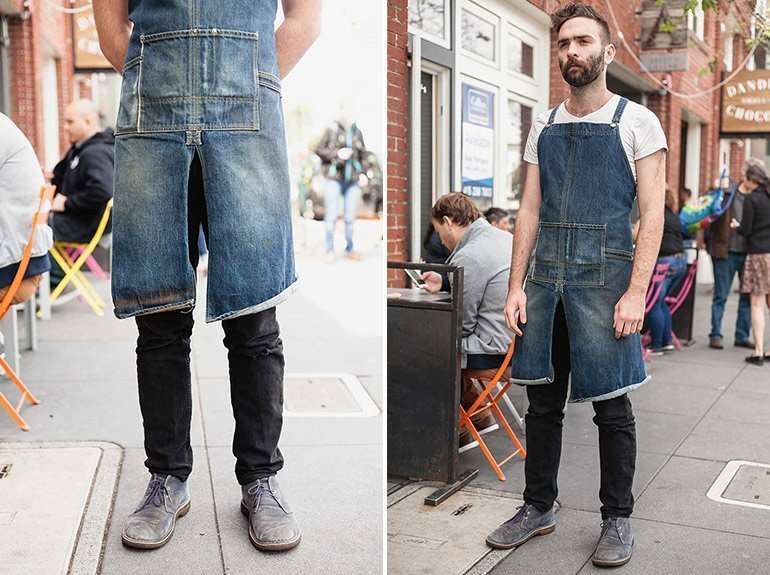 Ed talks about a new book by Douglas McWilliams called The Flat White Economy, referring to this hipster’s choice of trendy coffee but we could just as easily refer to them as ‘The White Oak Economy’ as this consumer buys into the selvedge denim market in a big way. Actually, this dude is you. Hi guys! So who are you? I’m sure you hate being put into boxes, but I’m going to do it anyway. 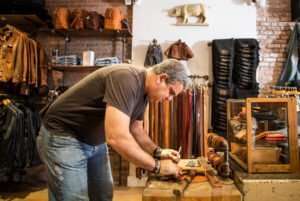 You are the “Millennial” consumer and you’re the most important and largest consumer group to affect the world’s economy since the baby boomers (and they fucked a lot of things up so go careful!) A lot has been written about this consumer group but the key traits are they are more environmentally aware, more tolerant, liberal, and open minded. Even if you are older or younger than the age range (born from early 80s to early 2000s), the fact that you are reading this site means you at least have Millennial tendencies. And despite the current high levels of unemployment, you are a very powerful spending group. You are one of the largest generations in living history and from 2017 onwards, you are expected to spend 200 billion dollars annually. But you are also savvy buyers and buy into a brand’s story more than previous generations. You care about what you buy and through the explosion of online blogs and e-commerce sites, you have started to get pretty picky about who you buy into. And this is why there’s been such a selvedge boom in recent years: premium denim represents all the values that millennials look for in their brands. Now back to these brands: its not just copy-cat one man set-ups that are emerging in their droves, as we know; the high street mall brands are responding too. 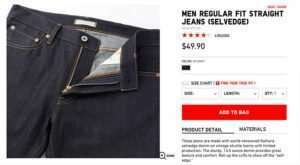 American Apparel, Asos, American Eagle all have selvedge raw offerings. Interestingly, he doesn’t use these guys for his own premium denim brand but he’s seen what they do in mass manufacturing and rates them highly. But that’s just the point: they are making vast yardages… seriously big numbers. Can the quality, ethics, and environmental impact remain positive at that level? I have to say I doubt it. “What we’ve seen in recent years with fabric knowledge and weaving technique, which the Japanese were always on top of, this quality has filtered down to places like China and Pakistan and India. These regions are fast on the toes in terms of replicating real Americana,” adds Mohsin. 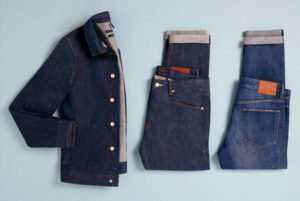 On June 4th, Topman introduced their selvedge line using Kurabo denim as part of their higher-level Topman Ltd range. As Gerald Ortiz mentioned in his coverage at the time, Topman has played with the selvedge game before, but with Kurabo they seem to be investing in real, quality fabric to make a true statement that appeals to, well… you guys. We have a very long way to go but educating the public is the only way. Of course at the top of the denim consumer pyramid are you guys: guys who are buying from Tellason, Raleigh, Momotaro and the like. You buy occasionally and you buy to wear and wear and repair and wear again. You care where the fabric was woven, by whom, who stitched the jean together and how happy they were doing it. You care about shipping, water consumption, indigo quality and ecological footprint. You’ve made premium trendy whether you like it or not, but trends help to push the market forward and if quality and ethics are trending then you all should give yourself a pat on the back.